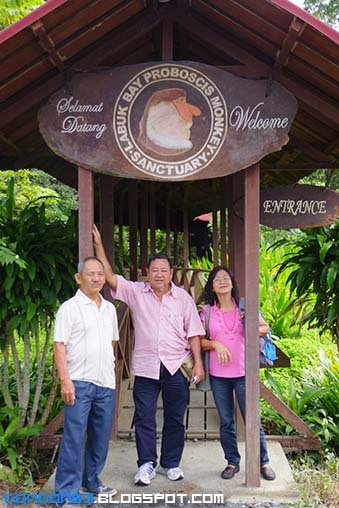 my dad brought us to Labuk Bay. 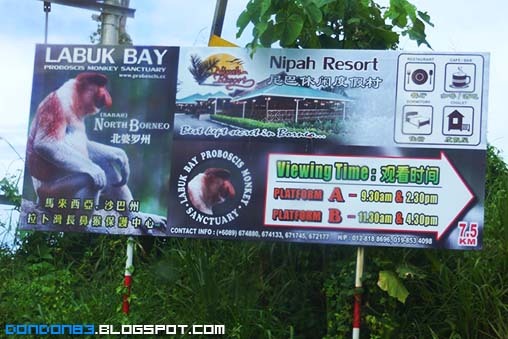 never been to this place when i stay in sandakan. 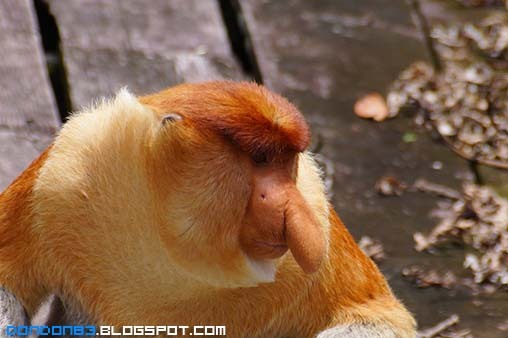 what's Proboscis Monkey you ask? 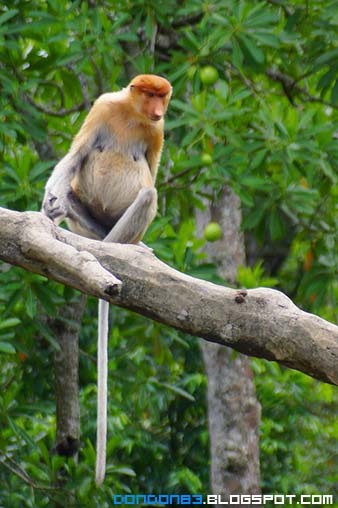 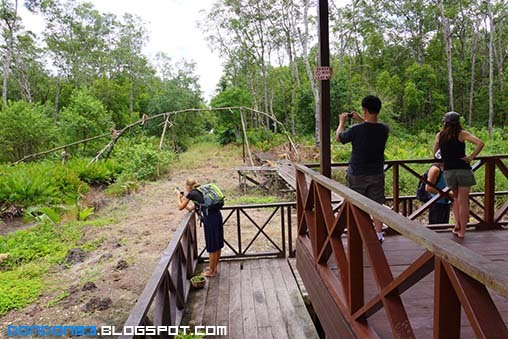 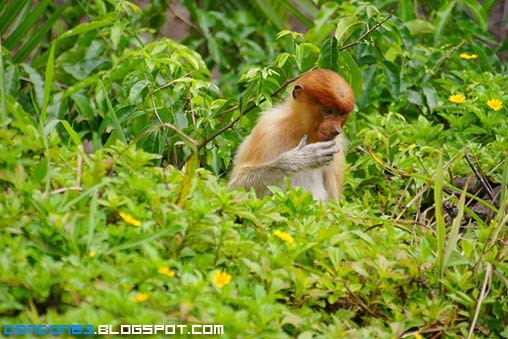 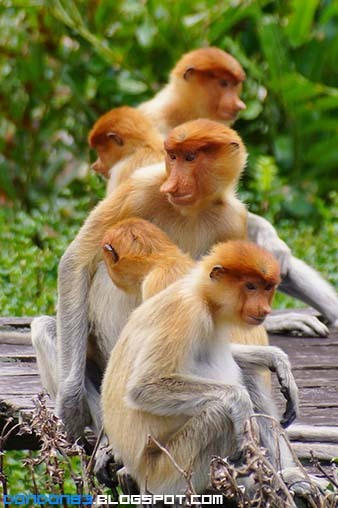 this is the Proboscis Monkey. 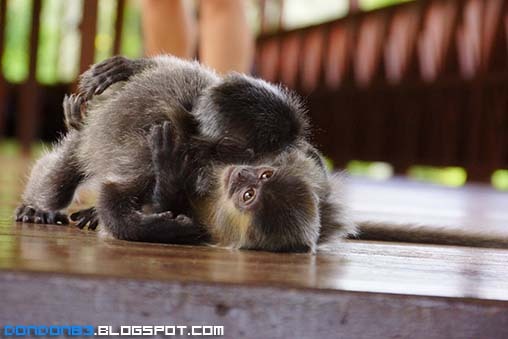 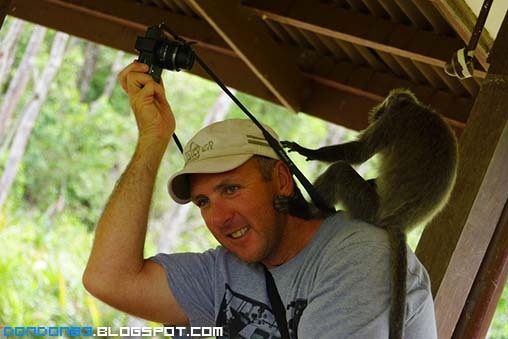 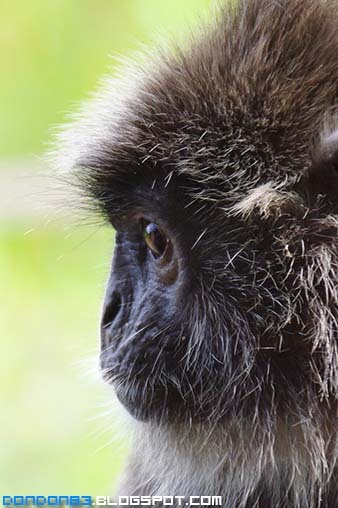 and there is a lot more monkeys around.. most important. 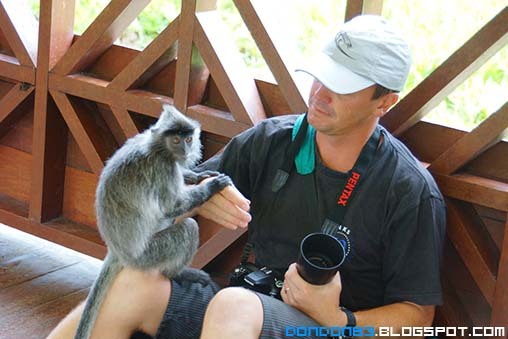 they are superb friendly..
and i can get a very near shot of the monkey..
and this is where we enjoy watching the monkey from. 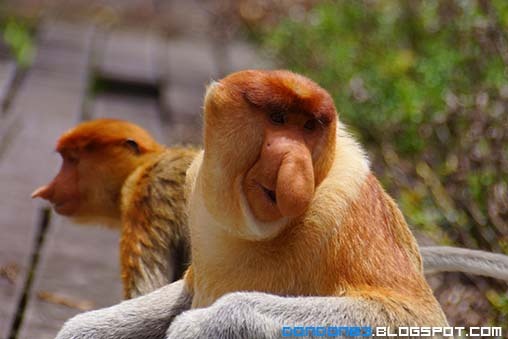 let's back to Proboscis Monkey. 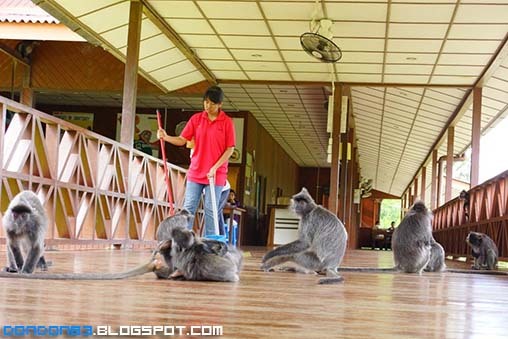 and these monkey of why we're here. 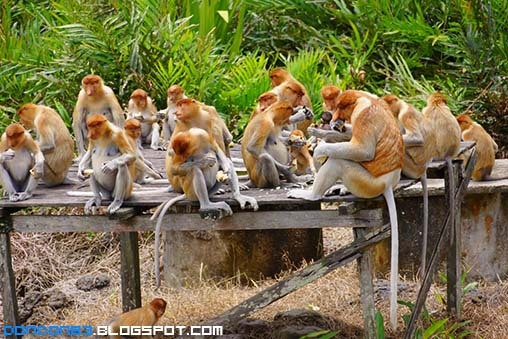 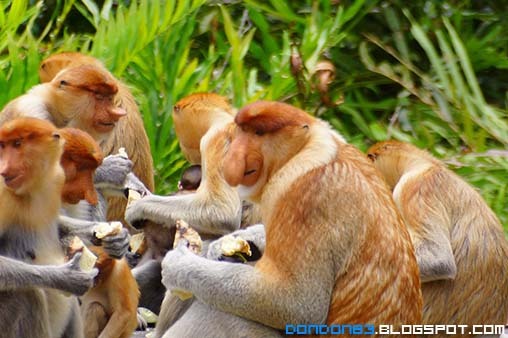 and lucky to meet the Proboscis Monkey monkey feeding time..
it's Proboscis Monkey food time. 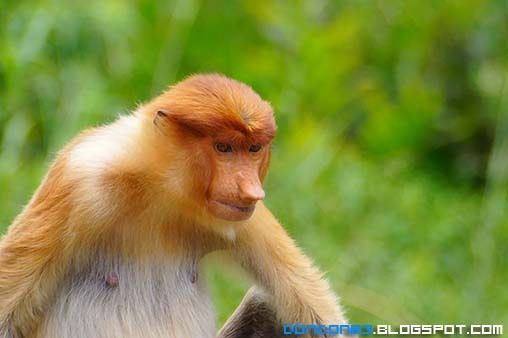 and this is younger Proboscis Monkey, see the nose different?